The “Lead Masks” Case – Two Strange And Mysterious Deaths On Vintem Hill! The “Lead Masks” case of Rio De Janeiro, Brazil in August 1966, is one of the most chilling to be investigated in the UFO field. Not least because it appears the victims went to their final destination of their own accord. Whether the strange deaths were down to alien contact or a strange set up that lured them to their deaths is up for debate. The strangeness of the encounter isn’t. The incident was brought into the larger public arena by respected ufologist, Jacques Vallee, in his 1990 book, “Confrontations!” The book examined the many cases of sixth kind UFO experiences – those that had resulted in the deaths of those who witnessed them. It was while he was investigating another UFO report in Brazil that he heard and investigated what would become known as the “Lead Masks” incident. The scene of the Lead Masks case. Two men had been found dead in a clearing in the woodland by a local teenager. The location is known as Vintem Hill and it sits a thousand feet above the small town of Niteroi near the country’s capital. When investigators arrived at the site, they were immediately struck by how strange the whole set-up was. There appeared to be no signs of any kind of a struggle. In fact, the area appeared more ritualistic than anything else. Perhaps it was the strange home-made type lead masks each had presumably had over his face. Both men were found dressed in smart suits and neat, long raincoats, each laid on his back. There were no wounds upon them, and they could easily be mistaken for simply being asleep such was the otherwise serenity of the scene. Further examination suggested both had died as the result of a massive heart attack. It was even suggested that the deaths happened “within seconds” of each other. This in itself is strange. What are the chances of such a random heart attack striking both men down, at the same time? ​It was obvious that “something” had worked as a catalyst to the men’s deaths. 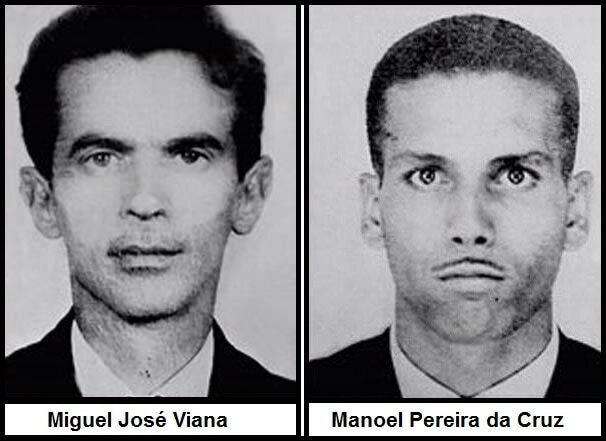 The men were eventually named as Jose Viana and Manuel Pereira da Cruz. Both were local to the area, and the release of their names brought forward many reports of strange lights in the sky around the time it is thought the two men died. Residents claimed to have seen a strange orange oblong-shaped craft. Perhaps even more startling, and important, many of them claimed to have seen “strange beams” shoot from the crafts into the ground. Had these beams been responsible for the two men’s deaths? Is that why they had gone to the site in the first place? Had they too witnessed the strange crafts and the beams they shot to the ground? Did they believe the lead masks they donned would offer protection from these beams? The case took an even stranger turn when strange lists on colored paper were discovered in the two dead men’s possession. One of these pieces of paper contained a strange code. 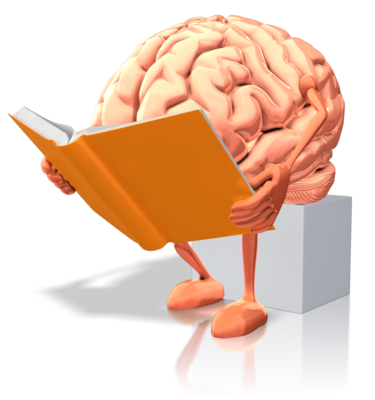 All who studied have failed to identify what it means, or what kind of code it even is. The other notes, although easily understood, were no less cryptic. ​Was the signal the orange glowing crafts that others later reported? Or was it the beams that some claimed to have seen shoot down from these crafts? Or might “the signal” be something unknown to anyone other than the two young men who met their untimely end on Vintem Hill? Many theories persist as to what happened and why the two men were even at their final destination in the first place. It is known that each had removed significant amounts of money from bank accounts in the days leading up to their death – supposedly to purchase a car. However, on the day they were last seen alive, they appeared to each make a purchase of a long raincoat instead (the ones they were wearing when they were discovered). Had they been meeting someone to purchase drugs, or even volatile materials? Only a fraction of the money they had removed was found on them at the time they died. If this was the case, however, and it was a robbery-turned-murder, it doesn’t explain the bizarre way in which they both died at the same time? Unless that is, we put weapons unknown to the general population into the equation. ​If they were attempting to buy some kind of volatile material – which might explain the long coats and lead masks – is it possible that the people they were meeting might have been intelligence agents? Might they have been killed by a weapon that leaves no evidence and simulates a heart-attack? The alleged heart-attack gun by the CIA was made public knowledge in the 1970s. You can read about that here, or watch the short video below. Unanswered Questions To A Deadly End! Some believe the two men were involved in some kind of science-based spiritualist movement, and they had ventured to Vitnem Hill with the hope of making contact with extra-terrestrials. Indeed when investigators searched their homes, they found tools and books on how to construct such things as the lead masks, and more key to the investigation, many readings on how to make contact with extra-terrestrial beings. Of course, it is possible that the truth may be a mixture of both of those theories. Perhaps the two young men believed they required some material to make contact with aliens, and through unknown means, stumbled upon the acquaintance of people (undercover intelligence?) who could sell it to them. Whether they were murdered before acquiring the goods, or whether they completed the deal and then were killed attempting to make contact, is simply another part of the complex puzzle of this grim but intriguing case. Check each of the videos below. All go into the details of the case in a little more detail, including the last one, which features some in-depth discussion and theories. ​The “Black Goo” Conspiracy And The Falklands Cover-Up?